I have been wanting to make my own pillow case now and since I don’t own a sewing machine (it’s not that I don’t want to, it’s just that I am saving money to get a good one for good), an iron-on adhesive will work for now. Went to Jo-Anns and purchased two rolls of this iron-on adhesive. Used a flat sheet to make this pillow case, I like the pattern of the fabric. I chose light-colored because I am going to put it in my dark-red living room set. It looks so busy and dark that all it needs is a calm, light and airy color. And I am in the process of making this happen – or else, this living room set will go to somebody else’s living room or to Goodwill. So anyway, going back to the no-sew pillow case. Just cut the desired size – like what I did, I just placed the pillow on top of the fabric and put 1&½ inches allowance on three sides and 5 inches allowance on one side. Yes- 5 inches on one side, you will find out why later on…. Place the fabric on the iron board face up then the other side of the fabric face down, then separate them like in my picture below. Pre-heat your iron to medium setting, while you tape the iron-on adhesive with the paper side on top all the way to the end on the fabric that’s facing up on the iron board. I used a laundry clip to hold my iron-on tape. Then I started pressing the iron-on tape to the fabric all the way through. Let it cool it down, then remove the paper of the iron-on tape. Then carefully place the fabric that’s facing down on top of the adhesive, making sure that the fabrics are lined up. Then iron the fabric, 5-6 seconds at a time, until all has been pressed. Flip the fabric on the other side and do the same thing, iron it for 5-6 seconds. Repeat this process to all of the three sides that has 1&½ allowance. Leaving that one side with 5 inches allowance open. 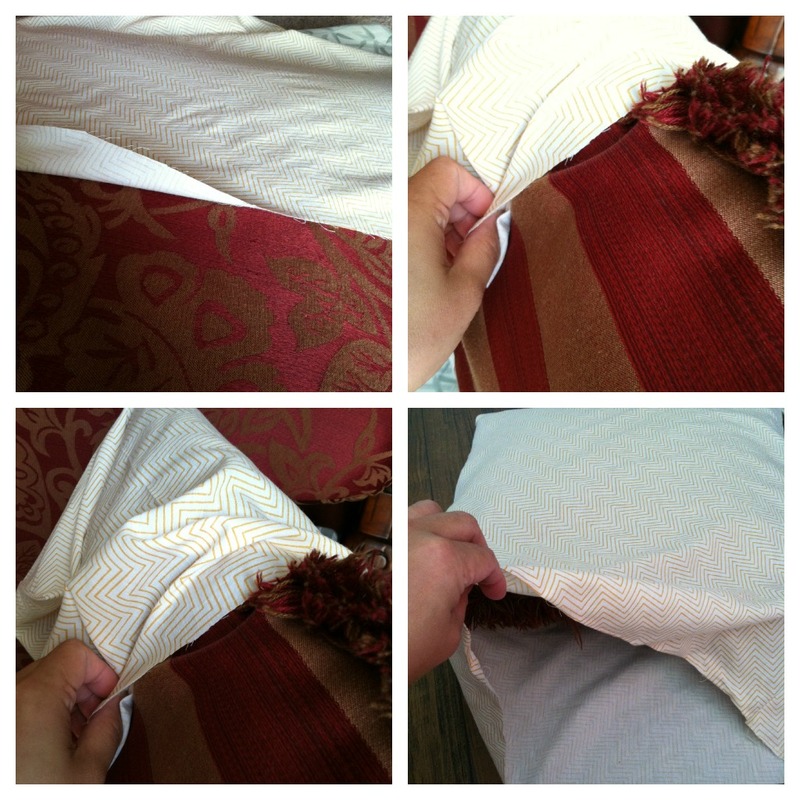 Reverse the pillow case inside out. Iron the three sides again, to have a more polished and clean look, and the entire pillow case. Then put your pillow inside your new pillow case on the 5 inches allowance opening. And then fold the 5 inches extra fabric inside the case, like the picture below. Smoothen the fabric and voila! 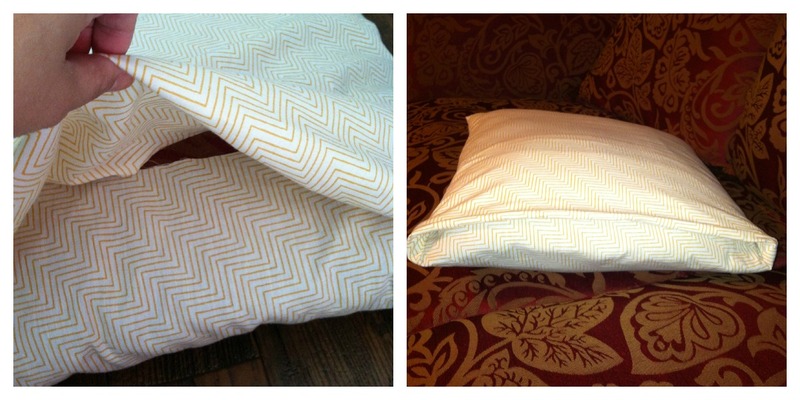 Here’s my no-sew pillow case! I am surprisingly pleased with the result....I thought the tape will not hold the fabric enough and will show some opened up areas. But nope! It looks clean and polished. I am so happy!! What do you think? Did some yard-salein over the weekend to one of my friend's house. She is moving out of state and so she let go of a lot of personal stuff. And so all these, i only paid for $26!! And I cannot wait to show you where I'm going to use all these or show you the makeover part on some of these. One of the things I bought from her, are these nice large and heavy plates for only $3. Yup! You heard me right, all these for three dollars, 3 large ones and 4 small ones. They're so pretty :) that I actually used one of the large plates as a fruit plate. 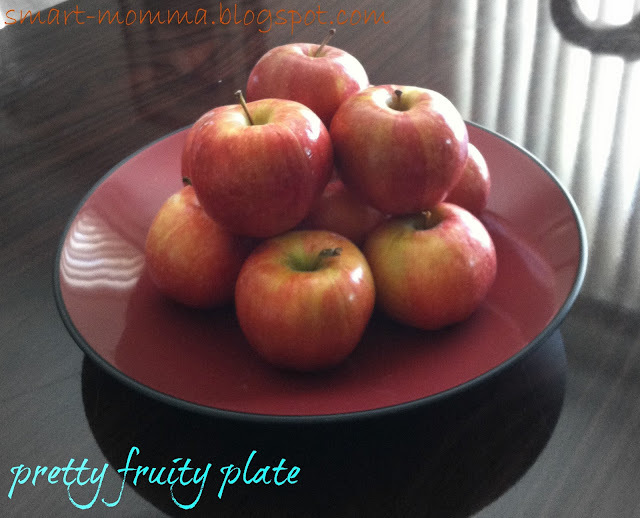 Here's my pretty fruity plate! When we moved to our house now, we purged a lot of things but also kept some. One of those things that I kept was this old table lamp because I see the potential to update it and make it look pretty. It used to be in our guest room from our first house. Here's a closer look of the lamp shade, you can actually see some dirt spots. So what I did was, I removed the lamp shade so I can paint the base. Wrapped the bulb and the cord with plastic and taped it with painters tape to avoid overspray. A red spray paint and a little bit of sanding in between coats. And this is how the base looks like now!! Isn't it pretty? And then I have this pretty fabric that I bought from JoAnns. I wrapped the shade with this fabric, it was a little tricky because of the shape of the shade. First, I just lay the shade on top of the fabric with about 2 inches allowance on each sides. 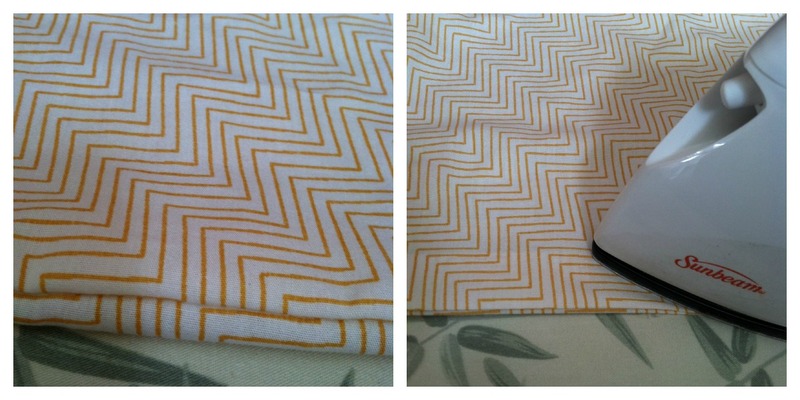 Then I fold the fabric by simply following the pattern of it, then cut the fabric. 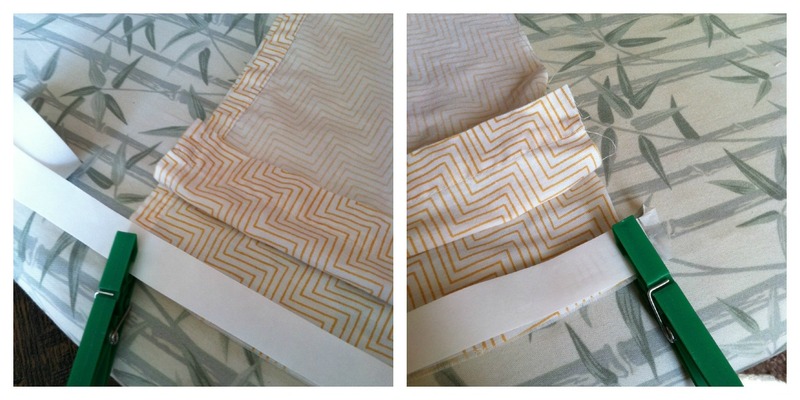 Then I ironed it out to straighten the wrinkles of the fabric that was caused from folding while at the store. Then I placed the fabric pretty side down and lay the shade on top of it. I used spray glue to adhere the fabric on the bottom part of the shade - just glue the trim. 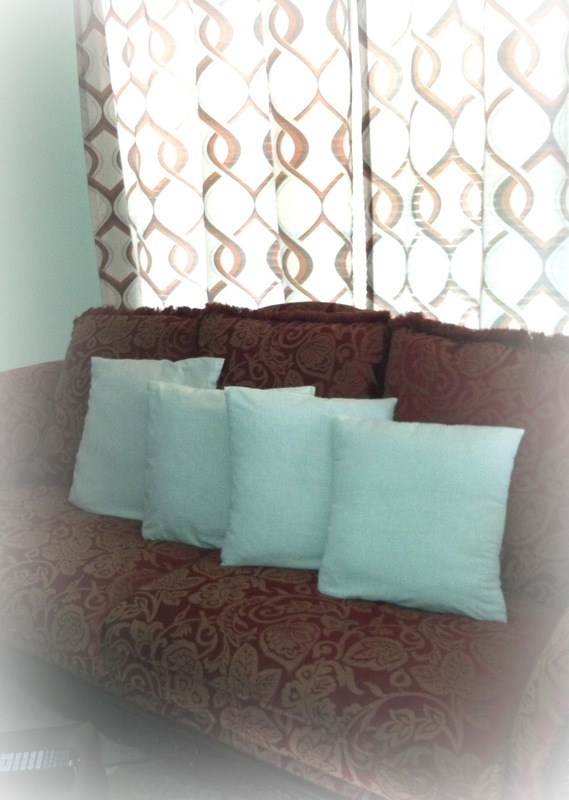 Then carefully adhere the fabric all around the trim by just following the pattern of the fabric. When it's done, since my shade is cone-shaped, I made pleats on the fabric before adhering it to the top trim of the shade. This time, I used hot glue to adhere the fabric to the shade. And when i got done with it - it made me happy!! Because it looks so pretty!! So I placed back the shade to the base and here is my OLD but IMPROVED table lamp! Another picture of my pretty table lamp! 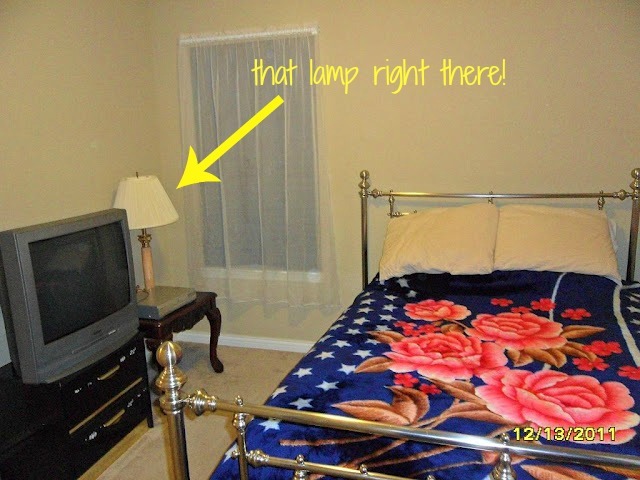 Placed the table lamp in our guest room. I am so happy and pleased with the finished product! Next time, I will take a picture before doing anything with any of my projects so that I can show you the before and after pictures. What do you think? 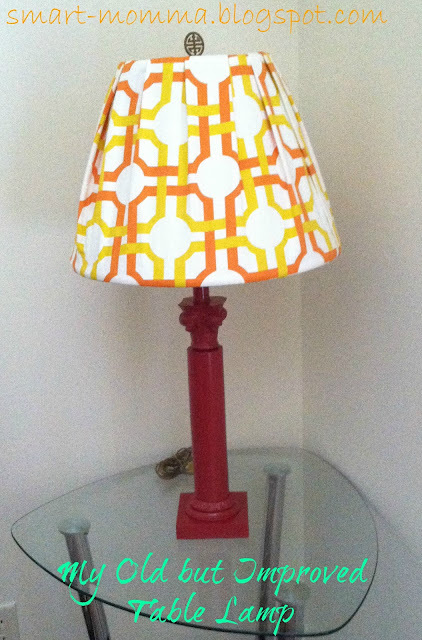 Do you like my old but improved table lamp? 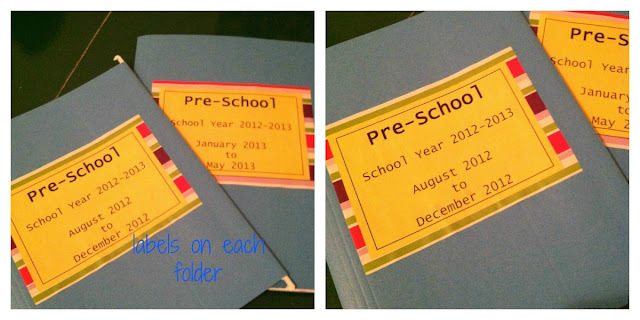 If you would remember, I made a post about my pure intentions of organizing my preschooler's school works but got interrupted? Made some pretty labels for the first half of the semester and second half of the semester. Moved all my son's school work from all around the house - countertops, kitchen island, his backpack, my purse and who knows where else?! Put his name in the front of the crate, like I have more than one child that goes to school!! I put extra hanging folders just in case. 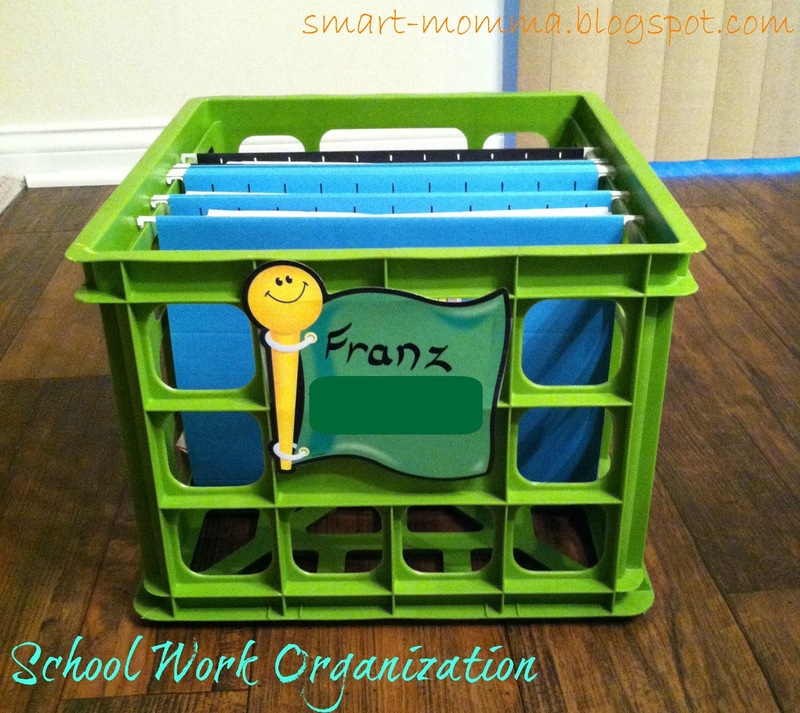 The crate is perfect because I guess it is specifically made to hold hanging folders. There you go, now it's organized. 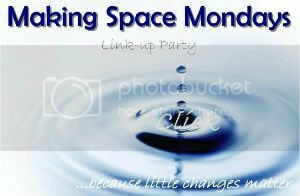 I am planning of purging the school work every other weekend.